The maroon slim fit tuxedo is the one to get if you want to stand out in a crowd. 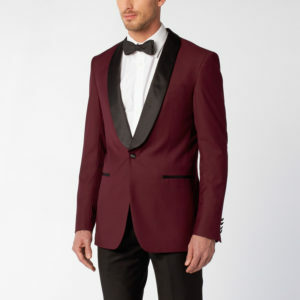 With a black satin lapel complimenting an elegant maroon hue this tuxedo will be the toast of the party. This tuxedo can be ordered with maroon or black pants. 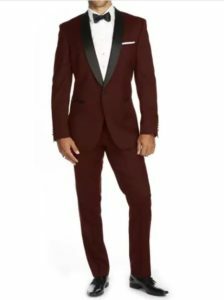 If you are looking to make an entrance at any event think about this Maroon slim fit tuxedo with black slim or ultra slim fit pants!